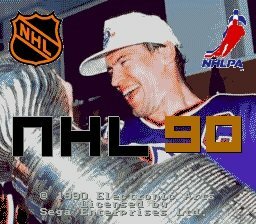 I edited a version called "NHL 1990", based on the 1989-90 deadline rosters. Why 1990? Because it's the season of an underestimated acomplishment in my opinion. Edmonton winning without Gretzky, I mean, wow, that was something. And also because there was always a gap between some awesome productions, like these of clockwise, NHL 1991, and these of slapshot, from 1970 till 1989. 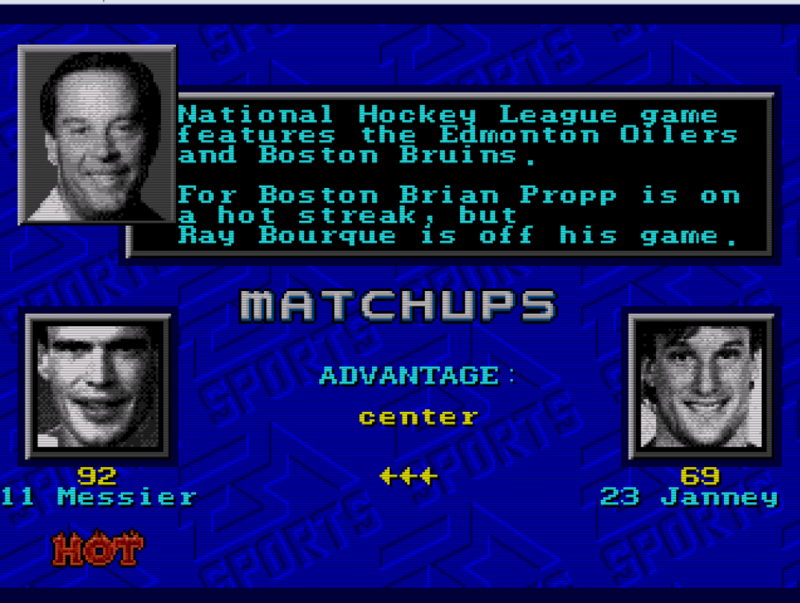 UPDATE: new rom, some improvements on the rosters and photos, BOS vs EDM as main teams in the menu, player cards for starters from clockwise's NHL 1991. 2ND UPDATE: corrected introducting screen, thanks to @Jkline3. cool! somebody should at least be able to advise on those minor issues. do mean the picture or some standard-font text you could just change? the automatic team selection is MTL vs CGY. That's not correct, but I'm not able to fix that at this point. NOSE can change the menu matchup teams to EDM vs. BOS. Yes, 1990 was a missing link. Thanks! I love anything late 80's/early 90's hockey so this is right in my wheelhouse, thanks bud! New version with player cards for all starters in the first post. This looks like a nice rom! Awesome work bud. Thank you. Only minor thing I found was that it says 1989 on the opening screen. 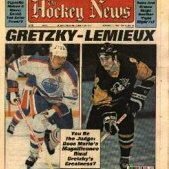 Would be awesome if you had a messier Edmonton pic and the 1990 year in the screen. Like the where it says NHL 90. But small potatoes. Thank you. All you guys do amazing work. Thanks @Modano’s mafia! You are right for the opening screen. But we would need some help from another guy to do that... I am not able to dot it by myself for now. False alarm - used the wrong picture! OK, let's try this again with the right picture... Unfortunately the iconic pose of holding the Cup overhead doesn't work well as a background because you end up with with the title right over the player's face. Looks great! As a Flames fan 1990 always stung to me. CGY could have had a mini dynasty going as I think they deserved better in 1991 as well--but that is a different story. 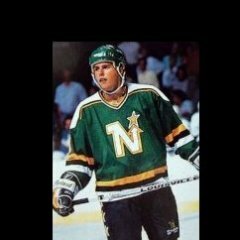 Random question that has always bugged me in all my years playing NHL 94. Is there a way to play your PP lines during even strength? I ask because I always thought it would be cool to roll "4-lines" using PP2 as the make-shift 4th line. Am I making it up that I have memories of the CPU putting their PP1 line on the ice during the last minute if the score was close? Or am I thinking of the PC version? Am I making it up that I have memories of the CPU putting their PP1 line on the ice during the last minute if the score was close? Or am I thinking of the PC version? That happens at least in NHL95 PC-version.